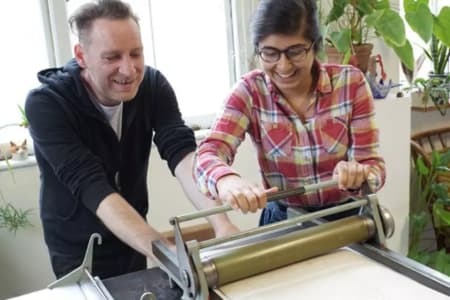 Pixel Press is the experimental printmaking space of artists David Vassie & Julieta H. Adame. A collaborative platform for people of different interests connected to language and printing. Art studio, publishing house, classroom. 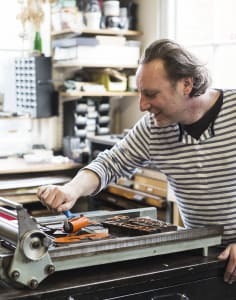 We like to share what we know and have learnt with professional printers, designers & artists, we find letterpress extremely satisfying and detest the idea of seeing type being turned into coffee tables, akin to toys being entombed in their packaging, never to be played with. Fabulous way to spend a rainy Saturday - David and Julieta were so knowledgeable and encouraging, I learnt so much! Would highly recommend it - I will be returning for sure!